Cotton is wonderful. One of my favorite mediums to work with is fine cotton fabric. Preferably designer prints such as Anna Maria Horner and Amy Butler. Cotton is very comfortable to wear too. My husbands favorite shirts are Land’s End Dress shirts. My favorite are the no-iron pinpoints 🙂 Egyptian cotton sheets and bath towels are the best for durability and comfort. Cotton is also beautiful in its raw state. Straight out of the field, still on the stalk, still in the seed pods. Several weeks ago I saw a blog post over at Savvy Southern Style. She had received some cotton straight from the field. And I loved the look and instantly wanted some for myself. I’ve certainly never seen any grown in Ohio though so I sighed, and went about my decorating without any cotton bolls. 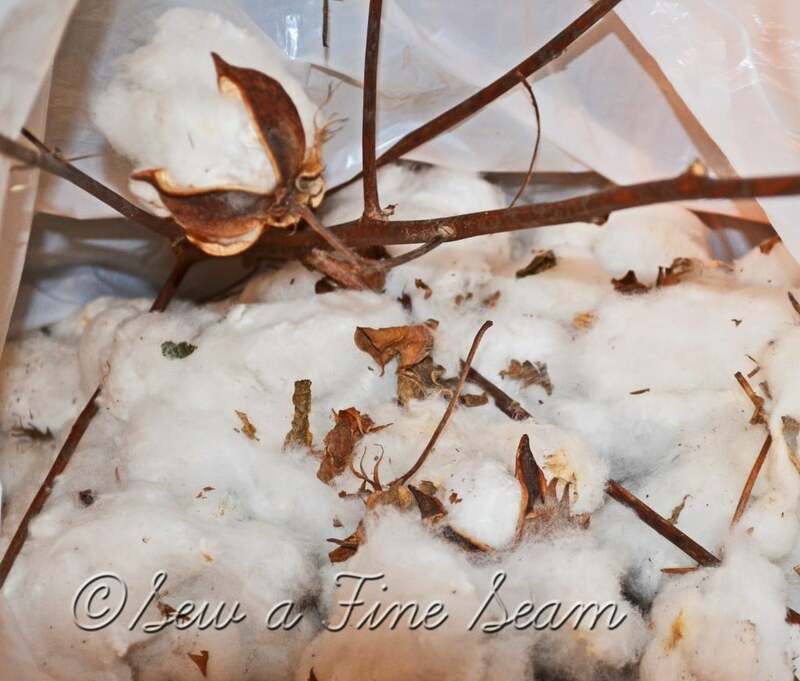 And I tried to overlook how lovely the cotton looked with the dried Hydrangea in another of Kim’s posts. I consoled myself with the fact that I could purchase some next year. And then I traveled 15 hours west to spend Christmas week with my family. Today, the day after Christmas, we headed to town to run a few errands. We traversed several miles of dirt roads to get to the highway. We passed harvested fields on both sides of the road. And then one field looked different. It was harvested but the stalks were taller than the surrounding fields and there was some sort of white stuff clinging to some of the stalks. I stared at it for a few astonished moments and then excitedly asked my sister if it was cotton! She said it was and I almost jumped from the moving vehicle to get to that field and glean some of the beautiful bolls still there. But I refrained. We went to town, ran our errands – well some of them, two of the shops I wanted to browse were not open. Have to go back tomorrow. We went home another way and I actually forgot about the cotton till about 5:15pm. It was starting to get dark but with a clear sky it was still light enough to see for a while longer. Emma and my niece Renae went with me, and we filled a large plastic bag with the wonderful, soft, white stuff! I am just so excited! I’m sure my husband is just delighted to add that to our pile of stuff to take home with us, but, oh, is it going to make my redecorating when the Christmas decor comes down so much more fun! My brother thinks I’m crazy, and probably the rest of my family does too, but surely some of you out there in blogland understand?? If you are in a snowed in area – enjoy. I am not one bit envious that I am missing out on the 10+ inches of snow that dumped on my hometown today. I am quite content to look outside at the snow-free fields of Kansas. And I am pretty sure there will still be plenty of snow for my kids to play in when we get home. Though if I had it my way we would head South and not return till May. Thank you Candace! I liked your facebook page! 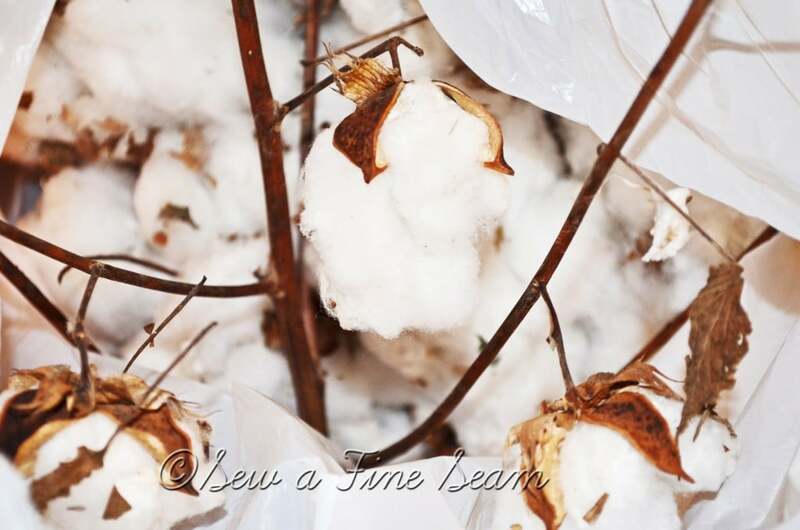 Love your cotton picture! my kids played in the snow today (with some neighbor kids you showed up) for over THREE HOURS! they even missed lunch! LOL! They might as well enjoy the snow – someone’s got too! You won’t find me out rolling in it and having fun! Oh I love to decorate with cotton! I have some myself. I used it in a pitcher with some curly willow on my mantel. It’s actually fun to use at Christmas too. You can put it in your Christmas tree or in a container mixed with Christmas greenery. The options are endless. Glad you were able to get some for yourself. I’d like to have some more actually. I found mine at a store back in the Fall. You kind of have to grab it when you find it because it sells quickly! Kelly, I probably saw it on your blog too – I couldn’t remember for sure where all I’ve seen it! I got some South Carolina cotton bolls from my friend Jane from Cottage at the Crossroads. She sent me a whole box. I used them in my fall decorating but my favorite project was a wreath. I am obsessed with them too! Can’t wait to see what you do with yours. Enjoy Kansas! I kept thinking I’d seen cotton on other blogs too but couldn’t remember for sure where! It’s the rage right now I guess! I was so excited to find some for free! So pretty ~ I know you’ll do the cotton farmer proud! 🙂 Wish we had some in CO, too! Awww, thanks Pam! I can’t wait to get home and start refluffing my house! Kimberly, I am SO with you! Last year I counted the days till April and kept mentioning how many more there were on my blog and on facebook! I figure if I can make it through March I might survive! How or HOW do I FOLLOW your sweet, sweet blog???? I love sewing and I don’t want to miss what you have to share! Thank you for coming by to see me via Nana Diana! 🙂 I hope to be back to what I love soon! Oh Rebecca you are too sweet! You can follow by email if you wish – there is a sign up for email in my right sidebar. or if you prefer fb or twitter or rss there are buttons for that at the top – right under my header and right above my photos across the top. or there is bloglovin or Linky at the bottom of the page. I can’t do Google Friend Connect since I’m with wordpress and google doesn’t make it available to those of us on wordpress. what an interesting post, Jill. 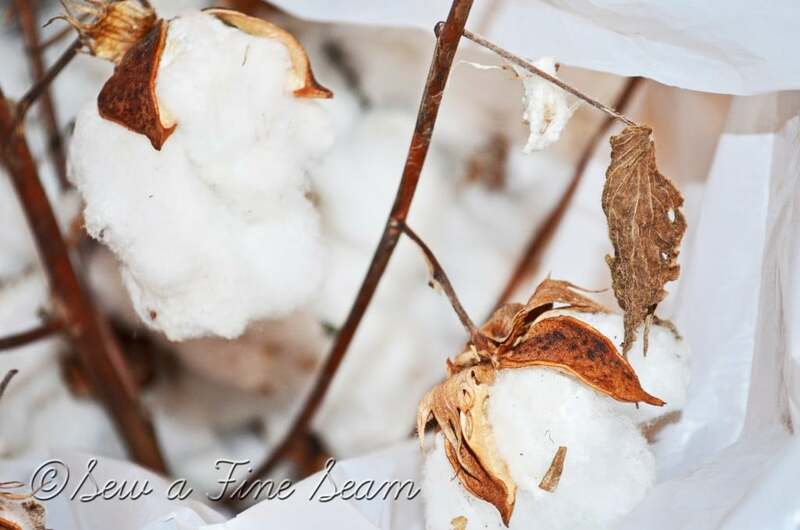 Being in California, I will probably never stumble upon a cotton field so I loved hearing your story. I’m curious how you’ll use it! I will definitely blog about it Leslie! My decor always evolves with a mind of its own when I get at it no matter what I may think i’m going to do! 🙂 It is rather fun Susan! If no one around me gets me I can just hop online and find some people who do! What a great idea! I have never decorated with cotton before….but I’ve always wanted to! I need a cotton field near my house! Check around Karianne there just may be a farmer near you who grows the stuff! You would do great stuff with it I just know it! I.. myself… CAN’T wait to see what you create it with! Aww Christine, you are so sweet! I wasn’t able to bring it home with me – no room – but my parents are coming home this weekend and will be bringing all the stuff we didn’t have room for. They better not leave my cotton behind!! So I will have it to add to my decor NEXT week and I will definitely be sharing what I do with it! Thanks so much for hosting a link party! Thank you Kelly – I love linking up with you guys!